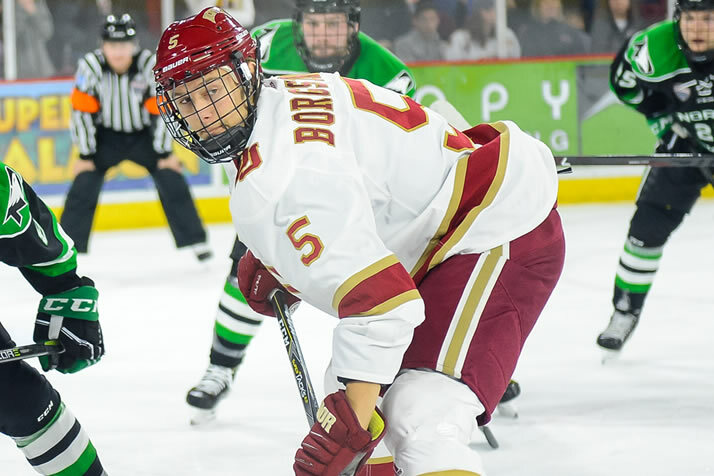 Rookie Camps Set to Open - College Hockey, Inc.
Two-time first-team All-American Henrik Borgstrom enters his first training camp with the Florida Panthers. Dozens of former college hockey players – including nearly 100 who spent 2017-18 at the NCAA level – will take the next step in their careers as NHL rookie camps open this week. Sixteen players played in both the NCAA and NHL last season, and they all begin their first full pro season with rookie camp this week. Among that group are All-Americans Henrik Borgstrom (Denver/Florida Panthers), Ryan Donato (Harvard/Boston Bruins), Adam Gaudette (Northeastern/Vancouver Canucks), Dylan Sikura (Northeastern/Chicago Blackhawks) and Troy Terry (Denver/Anaheim Ducks). First-round NHL Draft picks entering their first full pro season include Borgstrom, Trent Frederic (Wisconsin/Boston Bruins) and Casey Mittelstadt (Minnesota/Buffalo Sabres). Forty-eight NCAA schools have at least one alumnus attending one of the 29 NHL rookie camps whose rosters have been announced as of Thursday (the New York Islanders and Philadelphia Flyers, who meet in a rookie game Sept. 12, have yet to release their rosters). In addition to those events and the aforementioned Flyers-Islanders game, Calgary and Edmonton’s rookies will face off in Red Deer, Alberta, on Sept. 12.